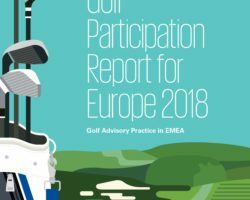 The report, which provides invaluable figures regarding the supply and demand trends in Europe for 2017, is the latest of KPMG’s annual publications offering analysis and insights into Europe’s golf industry. 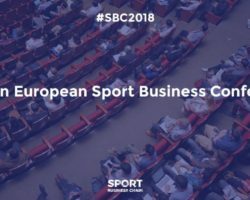 In last year’s report, KPMG’s research for 2016 demonstrated that the European golf market had continued to stabilize in terms of numbers of registered golfers and golf courses in operation. In 2017, this trend continued with no significant changes in the overall supply and demand figures for Europe, although some countries did record noticeable changes. When taking a closer look at Europe’s golf markets, 76% of local golf associations indicated that the level of participation in their country in 2017 had either stabilized or increased. The remaining 24% of European markets still experienced some decline, including key markets such as England, Scotland, Ireland and the Netherlands. The overall participation rate for Europe has remained stable since 2015. The research shows that the number of registered golfers and affiliated golf courses in Europe slightly decreased, by 0.8% (-34,925) and 1.0% (-71) respectively. Deloitte carefully selects sponsorships that share our core values of leadership, integrity, commitment to teaming, strength through diversity, and a global perspective. This is how we make an impact that matters. High-visibility sponsorships are a tremendous way to build our brand with our clients, our professionals, and our recruits, as well as the broader marketplace. But what is truly meaningful in these relationships is that our efforts to advance these organizations goes far beyond writing a check. Deloitte’s professionals serve as trusted advisors helping shape long-term strategy, improve operational efficiency, and implement substantive change. Indeed, after analysing the protagonists of Premier League and Ligue 1, it is now the turn of Serie A and Bundesliga: who will be alongside Cristiano in Italy? Do you expect to see a Bayern München’s supremacy in Bundesliga? 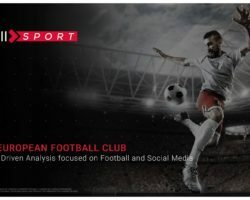 Download now the latest update to know everything about the social landscape of European football, and don’t forget to share your favourite charts on Twitter with #TEFCReport, the official hashtag! 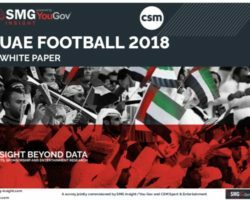 We are delighted to bring you a comprehensive study jointly undertaken by CSM Sport & Entertainment and SMG Insight which provides a detailed analysis of the current footballing landscape in the UAE. 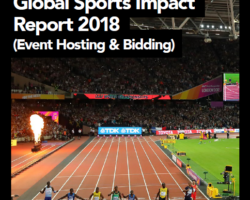 The report shows that the staging of international tournaments, a strengthening domestic game and high profile Arabic players are among the factors helping to widen fan demographics and increase the value on offer for commercial partners. 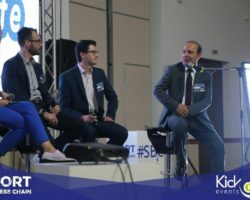 The findings demonstrate a game that is in rude health and growing in popularity in the region amongst both fans and potential sponsors. 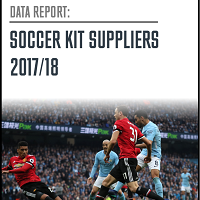 This points to a positive future for football development and sponsorship as fans in the UAE reveal that they see the domestic game as exciting, accessible, professional and compelling. 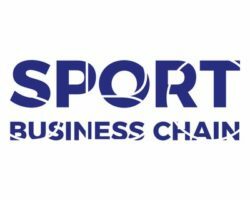 However, the survey also suggests that domestic football in the UAE still trails behind international competitions and club sides when it comes to the size of local fan base and perceived value to local and regional brands. 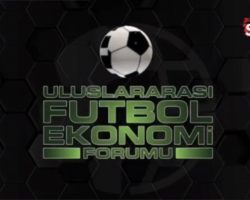 İSTANBUL (AA) – Sabah gazetesi tarafından düzenlenen Uluslararası Futbol Ekonomi Forumu başladı. The Grand Tarabya Hotel’de gerçekleştirilen organizasyonun açılışında, Türkiye Futbol Federasyonu (TFF) Başkanı Yıldırım Demirören, Beşiktaş Kulübü ve Kulüpler Birliği Vakfı Başkanı Fikret Orman, UEFA Yönetim Kurulu Üyesi ve TFF 1. Başkan Vekili Servet Yardımcı, TFF Başkan Vekili Ali Dürüst, TFF Yönetim Kurulu Üyeleri Cengiz Zülfikaroğlu, Ali Düşmez, Trabzonspor Kulübü Başkanı Ahmet Ağaoğlu, eski Galatasaray Kulübü Başkanı Dursun Özbek ve futbol dünyasından çok sayıda kişi hazır bulundu.